Happy Veteran's Day! One of my favorite vets is my father's father. 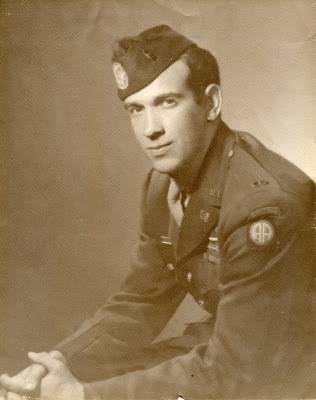 Born in 1917, Grandfather served in World War II as a paratrooper with the 82nd Airborne. On June 6th, 1944, he jumped into Normandy, carrying his unit's radio on his back. He made it through D-Day unharmed, but on June 7th he stepped on a land mine. He survived, but lost a leg. In the army, circa 1944. Before World War II, Grandfather was studying accounting at a college near his hometown. His wartime job as a radioman sparked an interest in engineering. So, upon returning from Europe, he began a career as an engineer. He worked at Western Electric, and also briefly at Bell Labs. 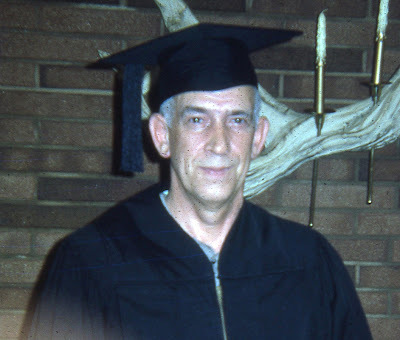 Eventually, at age 48, he graduated from college. Counting government employees and the employees of private contractors, over 400,000 Americans worked to land 12 Apollo astronauts on the moon. My grandfather spent his career perfecting guidance systems for rockets, but technically he wasn't a part of that 400,000. His focus was primarily Nike Hercules and Nike Zeus rockets, not the rockets that took men to the moon. 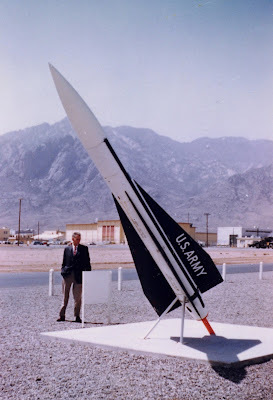 Posing at White Sands with a Nike Hercules rocket. 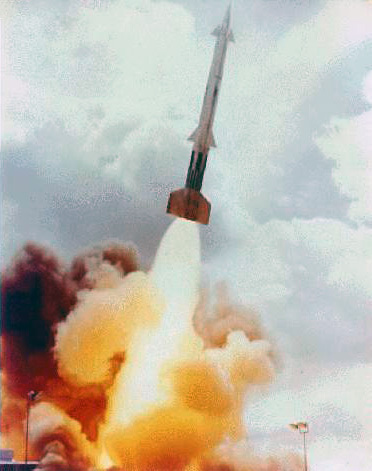 Nike Hercules missiles were developed to fire at airborne targets (specifically, bombers) or at targets on Earth. Some of them could be tipped with a nuclear warhead. They were first deployed in 1958, and they were all deactivated by 1979, as the military's concern turned from incoming bombers to incoming missiles. The launch of a Nike Zeus. Nike Zeus rockets were defensive weapons, developed to intercept and destroy intercontinental ballistic missiles. 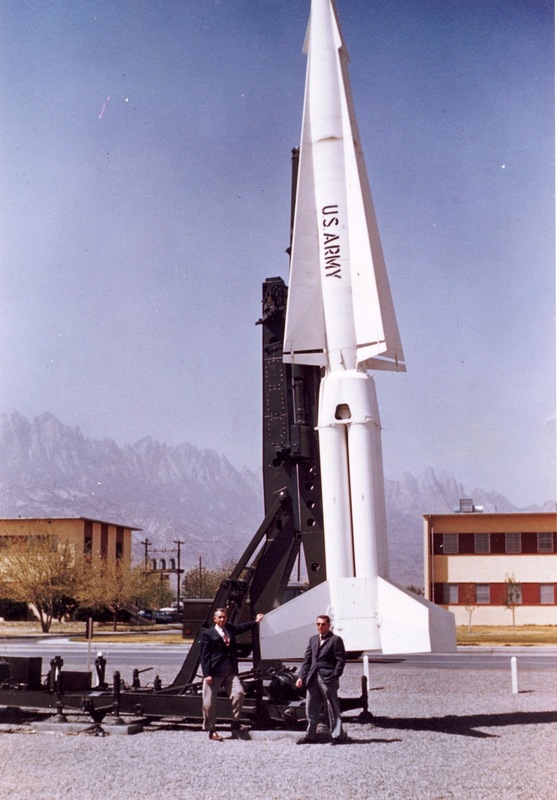 Their first successful launch was in 1959; their first successful intercept was in 1962. They were phased out after the SALT I treaty was signed in 1972. 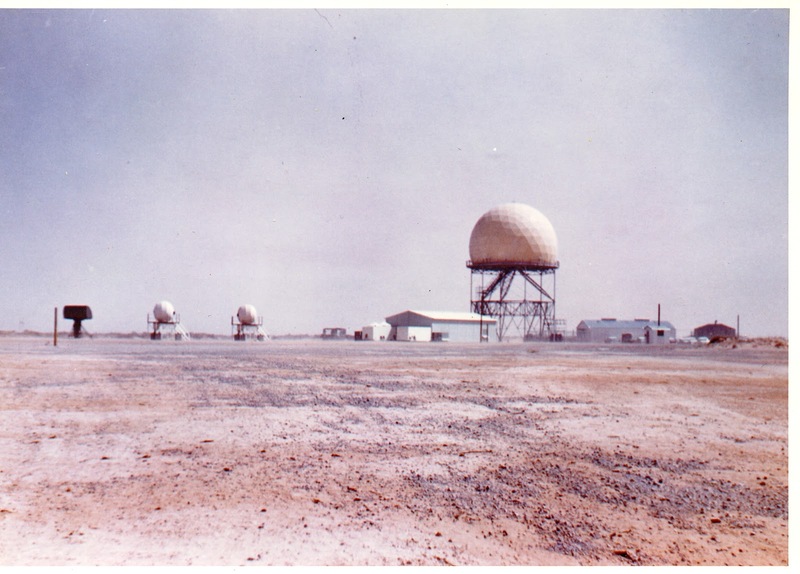 The last Nike Zeus was decommissioned in 1974. Both Hercules and Zeus were replaced with the much more accurate and more mobile Patriot missile systems. I can hardly believe how quickly the race to the moon proceeded. It can be measured in terms of one person's career: Grandfather went to work just when the U.S.'s rocket program took off. He retired right after Apollo-Soyuz. While not working directly on the Apollo program, he was fascinated by it. Like many Americans, he followed the space program with great interest. My Dad still has the newspaper clippings Grandfather saved from each NASA launch. White Sands Missile Range, in the late 1950s. 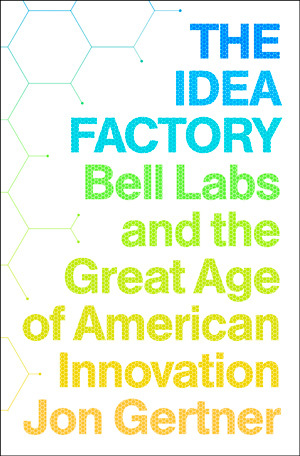 Folks talk about the Apollo program (and Bell Labs, where my Grandfather briefly worked) as being the golden age of American invention. I've heard people say that we no longer solve problems on the same scale as my Grandfather's generation. I just started reading this book and I highly recommend it! Grandfather died before I was born, so I don't know his thoughts on the subject. My belief is that the problems we're tackling now are more complicated and thus require far more money and time to solve. The greatest generation took us to the moon, but getting people to Mars or beyond is even harder. I think we will get there, though... eventually. Speaking of which, have you seen this news? Sources: my dad (thanks! ); Wikipedia; Space.com; Boston.com. I love the personal touch in this post. Too bad you never had a chance to meet your Grandpa in person! :-) Thanks Paulina!!! The blog turned out to be a great excuse to learn a little more about the details of my grandfather's life! This is fantastic. It's amazing the degree of work that goes on behind the scenes regarding space and aeronautics in this country. Sometimes looking at it through the lens of one man's unique experience discloses more than weeks of broader research could. Nicely done! Thanks so much Boy!!! It seemed fitting, given how much he apparently liked space travel! Brie, your grandfather was a handsome man- happy veteran's day to him! Great blog post! Thanks so much!! :-) I hope you had a happy Veteran's day and a happy birthday! I think that Jamen and J look a little like him, don't you? That's because it's a Hawk surface to air missile, not a Nike. At the White Sands museum. Zeppelins: A Stairway to the Heavens?